From Dec.6, 2011, 10 railway stations in Hainan offer train tickets booking services vcxc34 by telephone to further ease the pressure of train ticket sales on public holidays. The 10 railway stations are Haikou, Sanya, Yalong Bay, Lingshui, Wanning, Boao, Qionghai, Wenchang, Meilan and Haikou East. According to the latest information release, passengers in Hainan can call 95105105 to reserve train tickets 4 to 20 days ahead of their travel time. The telephone booking service is from 8:00am to 23:00 every day. After a successful reservation, passengers are required to get train tickets before 24:00pm the next day. Otherwise, the reservation will be automatically cancelled. 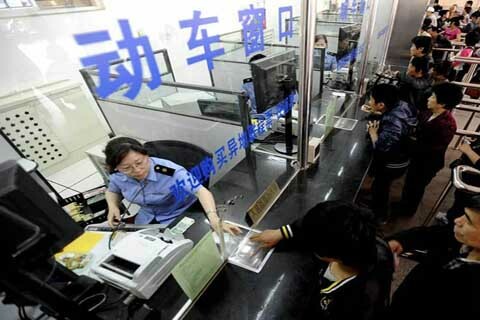 Besides, passengers need to show identification certificates specified by the Hainan Railway Bureau including ID cards, passports and foreign entry permits to get tickets at the designated windows of railway stations.